Our owner's intentions are clear, they want this property sold! A fantastic opportunity for investors/developers to secure this original 1920's bungalow, which sits on a huge section of 1153sqm (more or less). Zoned residential 5, there's potential to sub-divide and develop (subject to council approval). 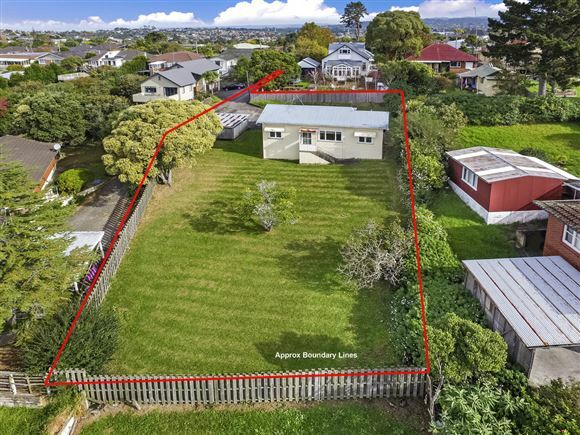 Enjoy superb views to the North East and Mt Albert. The existing home is currently configured as 2 x spacious one-bedroom flats (legal conversion), making it the perfect rental investment with two rental incomes. Convenience is the key here with future on/off ramps at Maioro Street; access the new Waterview tunnels making travel to the North, West & City even quicker - not to mention already convenient southbound access. Ideally located just minutes from Avondale train station. Auction: On site 4th June at 12:00pm. (This property will not be sold prior).